This paper studies the rescheduling problem of a single machine facing unexpected disruptions in order to determine which parameters can help reducing the negative impacts of these disruptions on schedule performance. A Genetic Algorithm (GA) is used to generate the initial schedule and the updated ones according to a reactive strategy. The performance of event-driven rescheduling and periodic rescheduling policies are compared in terms of total tardiness and total cost of rescheduling. Other factors that may affect rescheduling such as disruption time, disruption duration and number of disruptions are investigated. The sensitivity of results to both due date tightness and cost factor variation is tested. The results showed that the timing of the occurrence of disruption as related to scheduling horizon has a major effect on determining the best rescheduling policy. Event-driven policy is superior to other policies for short infrequent disruptions. It was found that the periodic policy is more appropriate for long and frequent disruptions. ABUMAIZAR, R. J.; SVESTKA, J. A. (1997) Rescheduling job shops under random disruptions, International journal of production research, v. 35, n. 7. AKKAN, C. (2015) Improving schedule stability in single machine rescheduling for new operation insertion, Computers & Operations Research, v. 64, p. 198-209. ARMENTANO, V. A.; MAZZINI, R. (2000) A genetic algorithm for scheduling on a single machine with set-up times and due dates, Production Planning & Control, v. 11, n. 7, p. 713-720. 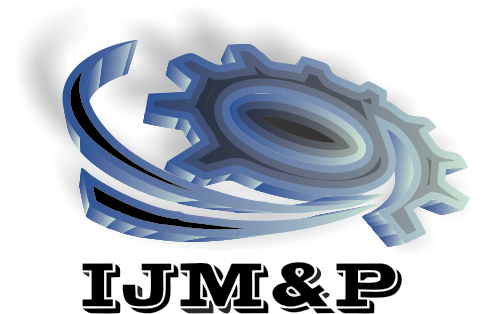 ARNAOUT, J. P. (2014) Rescheduling of parallel machines with stochastic processing and setup times, Journal of Manufacturing Systems. CARICATO, P.; GRIECO, A. (2008) An online approach to dynamic rescheduling for production planning applications, International Journal of Production Research, v. 46, n. 16, p. 4597-4617. CHIU, Y.; SHIH, C. J. (2012) Rescheduling strategies for integrating rush orders with preventive maintenance in a two-machine flow shop, International Journal of Production Research, v. 50, n. 20, p. 5783-5794. CHURCH, L.; UZSOY, R. (1992) Analysis of periodic and event-driven rescheduling policies in dynamic shops, International Journal of Computer Integrated Manufacturing, v. 5, n. 3, p. 153-163. DONG, Y. H.; JANG, J. (2012) Production rescheduling for machine breakdown at a job shop, International Journal of Production Research, v. 50, n. 10, p. 2681-2691. GUO, Y.; HUANG, M.; WANG, Q.; LEON, V. J. (2016) Single-machine rework rescheduling to minimize maximum waiting-times with fixed sequence of jobs and ready times, Computers & Industrial Engineering, v. 91, p. 262-273. HOOGEVEEN, H.; LENTÉ, C.; T'KINDT, V. (2012) Rescheduling for new orders on a single machine with setup times, European Journal of Operational, v. 223, p. 40-46. JAIN, S.; FOLEY, W. J. (2016) Dispatching strategies for managing uncertainties in automated manufacturing systems, European Journal of Operational Research, v. 248, p. 328-341. KATRAGJINI, K.; VALLADA, E.; RUIZ, R. (2013) Flow shop rescheduling under different types of disruption, International Journal of Production, v. 51, n. 3, p. 780-797. KUNDAKCI, N.; KULAK, O. (2016) Hybrid genetic algorithms for minimizing makespan in dynamic job shop scheduling problem, Computers & Industrial Engineering, v. 96, p. 31-51. LIU, L.; ZHOU, H. (2012) Applying Variable Neighborhood Search to the Single-machine Maximum Lateness Rescheduling Problem, Electronic Notes in Discrete Mathematics, v. 39, p. 107-114. LIU, L.; ZHOU, H. (2013) On the identical parallel-machine rescheduling with job rework disruption, Computers & Industrial Engineering. LIU, L.; ZHOU, H. (2015) Single-machine rescheduling with deterioration and learning effects against the maximum sequence disruption, International Journal of Systems Science, V. 46, N. 14, p. 2640-2658. MASON, S. J.; JIN, S.; WESSELS, C. M. (2004) Rescheduling strategies for minimizing total weighted tardiness in complex job shops, International Journal of Production, v. 42, n. 3, p. 613-628. MORATORI, P.; PETROVIC, S. (2012) Match-up approaches to a dynamic rescheduling problem, International Journal of Production Research, v. 50, n. 1, p. 261-276. NASERI, E.; KUZGUNKAYA, O. (2010) Cost effective handling of disruptions in production management, in POMS 21st Annual Conference, Vancouver. PINEDO, M. L. (2010) Scheduling: theory, algorithms and systems, New York: Springer, p. 379. RIBEIRO, F. F.; SOUZA, S. R. (2009) An Adaptive Genetic Algorithm for solving the Single Machine Scheduling Problem with Earliness and Tardiness Penalties, International Conference on Systems, Man, and Cybernetics. UNAL, A. T.; UZSOY, R.; KIRAN, A. S. (1997) Rescheduling on a single machine with part-type dependent setup times and deadlines, Annals of Operations Research, v. 70, p. 93-113. VALLADA, E.; RUIZ, R. (2010) Genetic algorithms with path relinking for the minimum tardiness permutation flowshop problem, Omega, v. 38, p. 57-67. VIEIRA, G. E.; HERMANN, J. W.; LIN, E. (2000) Predicting the Performance of Rescheduling Strategies for Parallel Machine Systems, Journal of Manufacturing Systems, V. 19, n. 4. VIEIRA, G. E.; HERMANN, J. W.; LIN, E. (2000) Analytical models to predict the performance of a single-machine system under periodic and event-driven rescheduling strategies, International journal of production, v. 38, n. 8, p. 1899 - 1915. VIEIRA, G. E.; HERMANN, J. W.; LIN, E. (2003) Rescheduling manufacturing systems: a framework of strategies, policies, and methods, Journal of Scheduling. YANG, B. (2007) Single machine rescheduling with new jobs arrivals and processing time compression, The International Journal of Advanced Manufacturing, v. 34, n. 7, p. 378-384. ZAKARIA, Z.; PETROVIC, S. (2012) Genetic algorithms for match-up rescheduling of the flexible manufacturing systems, Computers & Industrial Engineering, v. 62, p. 670-686.